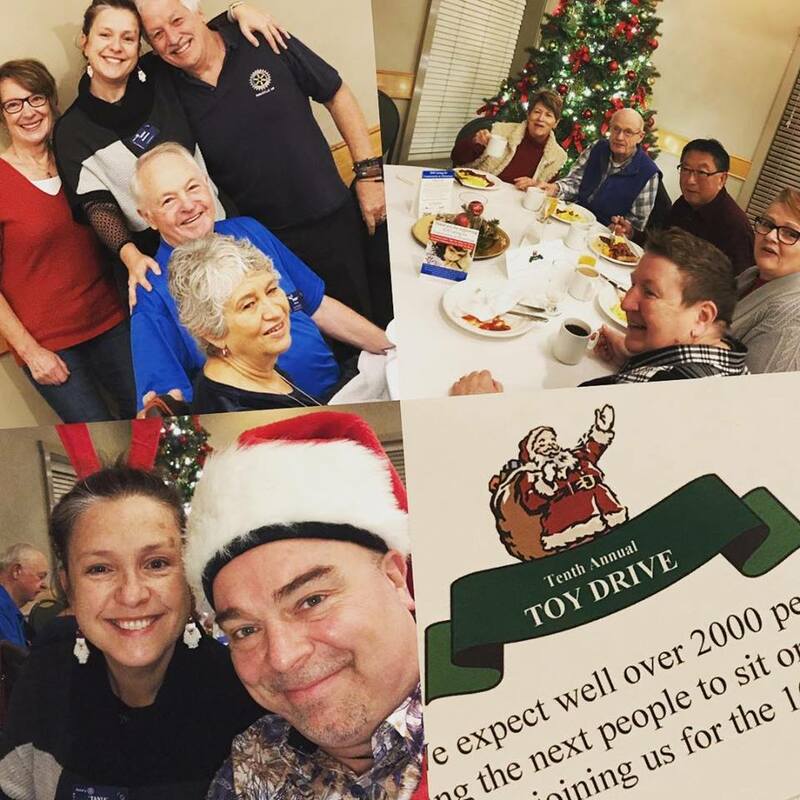 It has become a tradition for Parksville AM Rotarians to support the SOS Toy Drive at their annual breakfast at the Tigh-Na-Mara Resort. This was the 10th anniversary for this event, and our members were out in full force. Last year, the Tigh-Na-Mara Toy Drive collected 1,693 toys and gifts, nearly $4000 in gift cards, and more than $9,000 in cash and cheques for the SOS Christmas program. The breakfast kicks off the SOS Toy Drive and there is still plenty of time to contribute new, unwrapped gifts or monetary donations to help the SOS to ensure that when our local children and youth wake up on Christmas morning, there will be a special gift waiting for them under the tree. SOS collects enough new toys to fill its Toy Shop, where low income parents, grandparents and caregivers can shop for free. To donate to this worthy program, contact the SOS at 250-248-2093 ext. 229.